Adding iron hardware to your design scheme is the equivalent to finding a perfectly complimentary belt or piece of jewelry to complete a well-coordinated outfit. Hardware provides a distinct attention to detail to any space, whether it's for the bathroom, living room, bedroom or kitchen. We have options for every room, including an unmatched selection of wrought iron bathroom hardware and kitchen cabinetry options. We truly feel that the perfect wrought iron accent can serve as a fantastic finishing touch no matter where it goes. These premium-quality wrought iron hardware options can help refresh and revitalize tired spaces while adding functionality and style. Have more fun with your decorating. 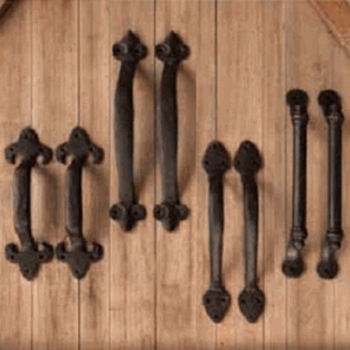 Our exquisite iron hardware collections reinvent everything from bathroom hardware and drapery rings to ever popular selection of iron brackets, cast iron hooks and extenders. 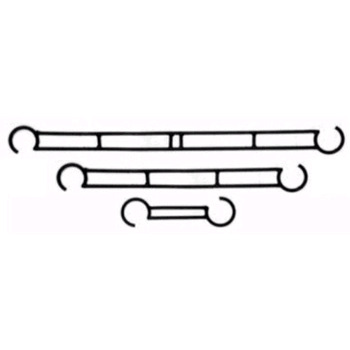 Create gorgeous shelving using stunning, hand-crafted brackets that feature elegant, intricate designs that can add long-term storage anywhere they go. 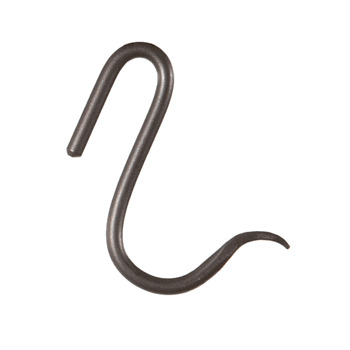 For more savvy design ideas, consider creating a unique clothing hook arrangement out of our many iron hooks and hangers. Turn your vision into reality, starting with these iron hardware must-haves.